The finest of moisturizing elements have been incorporated from genuine honey, and aloe leaf juice to pineapple and papaya fruit extracts. Honey Heel Glaze™ is ultra-smooth, non-greasy, and addictive in every way. Honey, Rice Bran Oil, Vitamins E, C, B5, B6, Live Papaya & Pineapple Cells, Aloe Vera. Hydrates skin while sealing in natural moisture. 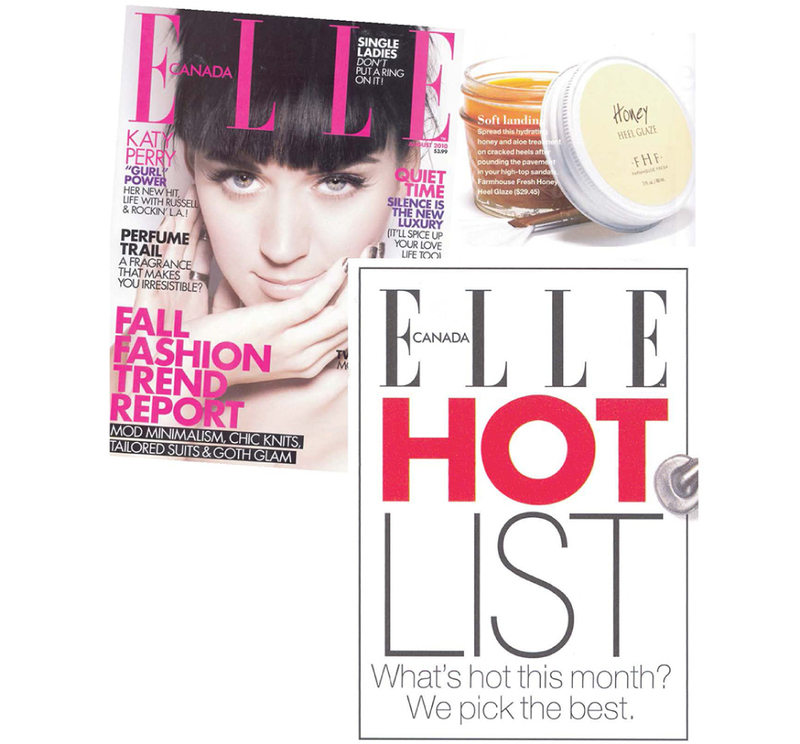 Honey is a natural humectant, which helps skin absorb and retain moisture to soften outer layer, improving elasticity. Raw local Texas wildflower honey. Water/Eau, Glycerin, Polysorbate 20, Polyquaternium-37, Honey/Miel, Oryza Sativa (Rice) Bran Oil, Panthenol, Carica Papaya (Papaya) Fruit Extract, Ananas Sativus (Pineapple) Fruit Extract, Aloe Barbadensis Leaf Juice, Ricinus Communis (Castor) Seed Oil, Parfum*, Phenoxyethanol, Caprylyl Glycol, Tocopheryl Acetate, Tetrahexyldecyl Ascorbate, Potassium Sorbate, Lactic Acid, Caramel. *All FarmHouse Fresh fragrances are phthalate-free. Suitable for all skin types. Developed for dry, cracked heels and knuckles. Dab a pea-sized amount on unkempt feet. Or enjoy an all-night soak by painting on Honey Heel Glaze in a thick layer, and slip on a pair of dark socks that won't stain. By morning, your feet will feel soft and supple. Use after a FarmHouse Fresh Sea Salt Scrub for the ultimate silky feet. BRUSH IT ON AND RUB IT IN, AND THE LUSCIOUS, CLOVE-AND-CINNAMON-SCENTED TREATMENT WILL BANISH ASHINESS AND ROUGHNESS FOR HOURS. I purchased the heel glaze a couple weeks ago after my nail tech used it as part of my pedicure. It not only smells awesome, it softens your feet and leaves them silky. Since they carried it at the salon, I grabbed one for home and use in between appointments. Highly recommend!! Lovely for feet. Deadly for carpet. This product is exquisite for my dry, winter-weary feet. However, I knocked the jar off my nightstand and can't get the stain from the glaze out of my carpet. I can't live without it but will only apply over a tile floor from now on. This glaze is awesome!! My husband and I both love this! Smells yummy, too!! This stuff is amazing! A hydrating serum for feet..it's great for winter when I don't get pedicures as frequently. It absorbs very quickly and leaves my feet silky and hydrated. I love the smell too. So far so good! A little goes a long way. best product I have ever used...I do not usually comment on products...but this honey heel glaze is absolutely amazing! Makes my feet look like baby feet, soft and changes the color of my feet to a delicate pink like baby feet. It's a little messy but worth it. I bought the sampler set first. I used it only on my left heel and I saw a dramatic difference. Recently bought the full size product. Looking to buy for my daughters next. I bought this first for my sister who has really cracked heals (got her a pair of socks too) told her to apply at night and she flipping LOVED the stuff, she didn't do a before and after, but wish she had, she sent me a photo a few days after and I couldn't believe how it helped her feet. I then bought some for myself, but more so for a pick me up, and I can't find anything bad to say about this product. Oh, I've used this on my hands too with the dry winter, stuck some socks on and went to be and again. WOW. I Highly recommend trying if you have cracked feet (or hands). This product healed my cracked heels after using daily for a couple of months. Now I use it every three days for regular maintenance. Also, I use it in my elbows to keep them from getting flaky or crusty. I LOVE this product. 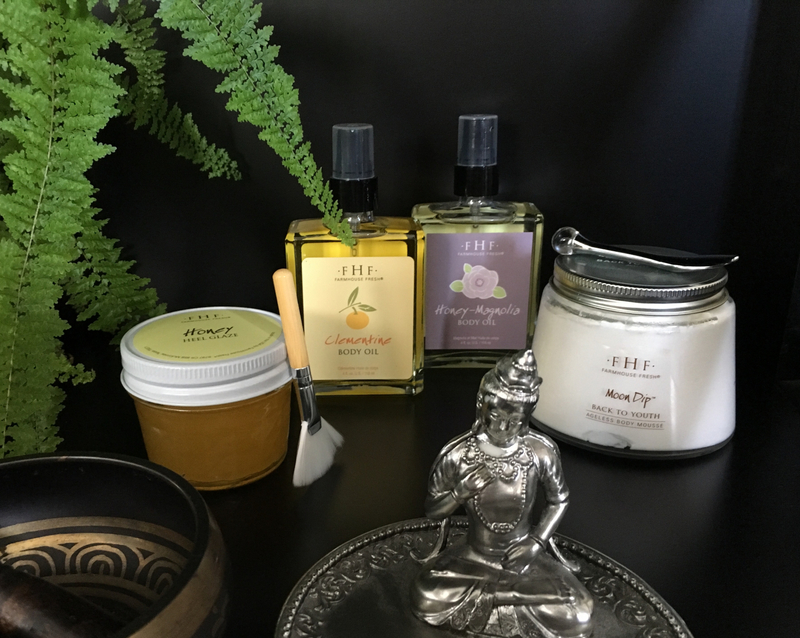 My husband and I love to trade foot massages and have tried many wonderful products over the years. I am using several FHF products for their amazing ingredients and awesome results, so I was excited to give Honey Heel Glaze to my husband as a Christmas gift. WOW! We are both in love with this product and it truly is everything it claims to be! Now there is no more trying to choose which oil or lotion to use for our nightly foot pampering - this is our absolute #1. Thanks, FHF! We were getting a massage at The Plaza in Aruba... and they let us smell the honey first then they applied to our feed. It was just such a great experience that I have to get it! Definitely recommend this yummy tread for healthy hydrated feed. I saw this heel glaze at a spa in St. Lucia. Came home and ordered it and have been using for 6 months now. It feels great going on and my heels and toes feel great in the morning. I am a barefoot walker indoors and out so my feet really appreciate this pampering. I have gifted it to 3 family members this Christmas! Love it! I originally bought this at a spa in Arizona. I love this product. Everyday after I shower I gently exfoliate my feet, apply this heavenly glaze and put on socks while I finish getting ready. The scent is beautiful! I find that the Honey Heel Glaze absorbs quickly and you don't need to use much product for it to be effective. My feet have never looked better! I love so many products and that they are organic and gluetin free is the cherry on the ice cream! This heel glaze is amazing! I keep it by my bedside and use it before bed! LOVE IT! My daughter-in-law gave me my first jar as a gift and I was immediately hooked! 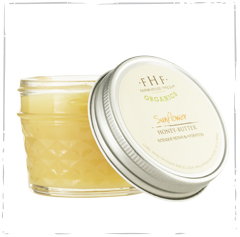 I love the wounderful sweet smell and hydration the Honey Heel brings not just to my heels but also to my hands and any dry parts needing softening.